Willaim Saletan has an interesting article titled Whitewashing Terrorism over at Slate. In his article, Saletan claimed that “Republicans have firm rules for fighting terrorism—unless it’s committed by domestic racists.” He added that the Republican Party’s philosophy on fighting terrorism is clear. He provided a synopsis of it. First, we must prioritize the fight. Second, we must challenge the teachings that motivate terror. Third, we must confront separatists who promote these ideas in our own country. Fourth, we must monitor networks that fund radicalization and violence. Saletan said that following the above philosophy when it comes to dealing with terrorists does not apply when the terrorists happen to be white nationalists. He then pointed out examples to show how some of the Republican presidential candidates responded to last week’s massacre of nine black people in a church in Charleston by a domestic terrorist. Saletan claimed that those candidates set “aside the principles they normally apply to terrorism.” Saletan provided some examples to prove his point. Click here to read William Saletan’s article Whitewashing Terrorism: Republicans have firm rules for fighting terrorism—unless it’s committed by domestic racists. This entry was posted in Barack Obama, Civil War, Conservatives, Politics, Racism, Society, South Carolina, States, United States, War on "Terror" and tagged Confederate Flag, Domestic Terrorists, Homegrown Terrorists, Republicans, Senator Lindsey Graham, Terrorism, Terrorists, White Nationalists, White Supremacists. Bookmark the permalink. Like cats on a hot tin roof, these guys keep trying to find a safe spot to land. http://www.theguardian.com/us-news/2015/jun/23/hillary-clinton-charleston-shooting-racist-terrorism-ferguson “Hillary Clinton has branded the murder of nine black churchgoers in Charleston an act of “racist terrorism” and linked the attack to America’s wider problem of entrenched racial inequality. Clinton was in South Carolina not far from the Emanuel AME church, last Wednesday, just a few hours before a white supremacist joined a Bible study in its basement and opened fire. Well, since Hillary commented, I’m sure Darrell Issa is soon to launch a investigation into said comments. At taxpayers expense of course. Good for Hillary. It takes courage to stand forthrightly with truth. Not one of the Republican candidates had the courage to come out strongly against the entrenched racism that still exists in this country. Romney at least made an attempt. Only then did some of them dare to speak truthfully about what the killings were based on. Cowards, all of them. Two of the state legislators chairing Sen. Ted Cruz’s (R-TX) presidential campaign in South Carolina defended the Confederate flag this week after the state’s Republican governor called for its removal from state Capitol grounds. Speaking on the floor of the United States Senate, Lindsey Graham (R-SC) said suspected Charleston shooter Dylann Roof was an example of “Mideast hate.” “That’s something I didn’t think we had here but apparently we do,” he added. 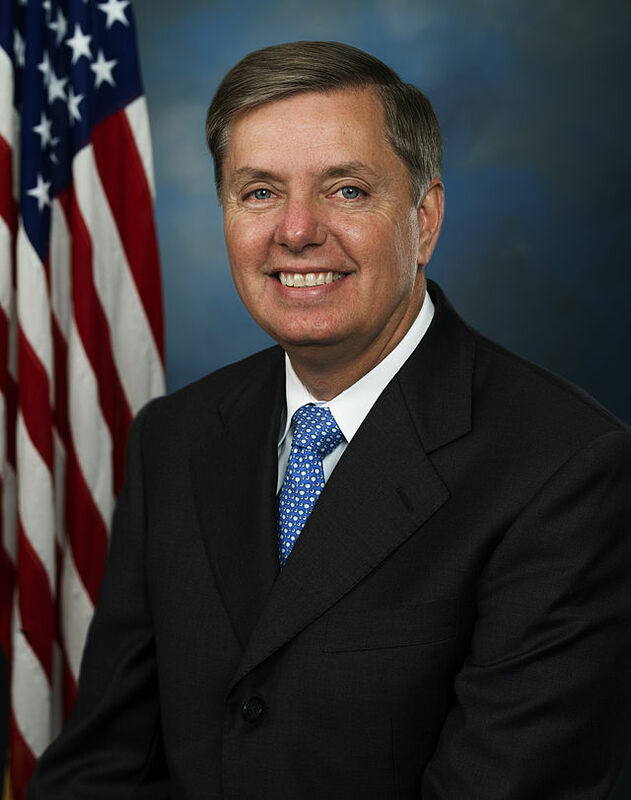 Graham has dismissed the idea that the Charleston murders had any larger impact. “I just think he was one of these whacked out kids. I don’t think it’s anything broader than that,” Graham said. Roof, in fact, appeared to be strongly motivated by white supremacist ideology and allegedly wrote a long manifesto espousing those views. While Graham is focused on threats originating from the Middle East, researchers believe right-wing extremism represents a larger threat. Lindsey Graham is a low-grade moron. Charles Pierce refers to Graham as Senator Huckleberry J. Butchmeup.